Come one and come all! 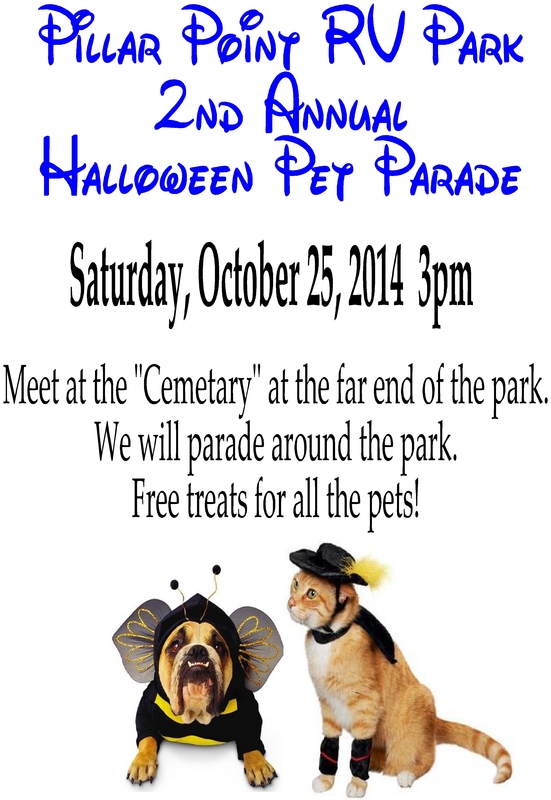 Saturday, October 26, 2013 marks the very first annual Halloween Pet Parade at Pillar Point RV Park! Half Moon Bay, CA - Pillar Point RV Park - Halloween Has Arrived! You certainly wouldn't have to guess what season it is if you happened to visit Pillar Point RV Park. With a multitude of pumpkins, scarecrows, jack-o-lanterns, spiders and skeletons, you would immediately see that the Halloween season is upon us.